Custom Web Design Services by Austin Michael including affordable design and ecommerce. As the Internet continues to evolve so do the talents and strategies of our digital artists. For over a decade, our designers have created sites that are visually attractive and incredibly functional. 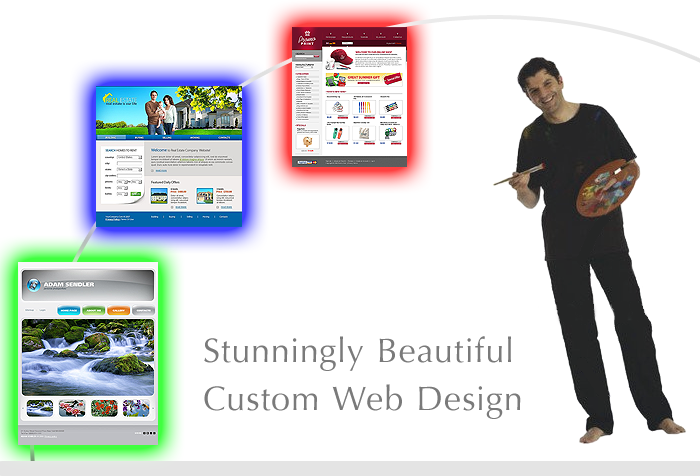 Each site is custom tailored to promote your products and services and turn prospective visits into paying customers. Highly skilled in Flash animations, AJAX technologies and server side programming you get the best tools to grow your Internet business. What good is a website if it can't be found? Adding keywords isn't enough. Austin Michael's SEO services generate more visits to your website by building your website in search engine friendly ways and then statistically anaylizing the results once posted. Customers are looking for you. Get found. Ready to Grow Your Business? Sign up for a FREE web consultation. Complete the form below and one of our web experts will contact you soon. If you already have a website address please enter it below.